Below is information about the past program. ARRoc does not currently plan a 2019 Roc VLP program, as we have not found volunteers to run it. If you would like to be part of the committee, contact us! Want to go vegan, but need some help and support? Be a Vegan Pledge in the Roc Vegan Living Program! 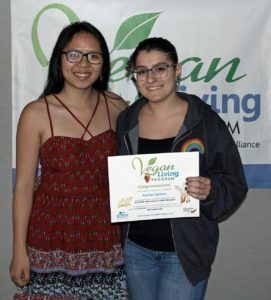 The Vegan Living Program (VLP) is a FREE educational program that covers the how’s and why’s of living vegan, including the ethical and environmental considerations of veganism, nutrition, cooking, meal planning, and living vegan in a not-yet-vegan world. 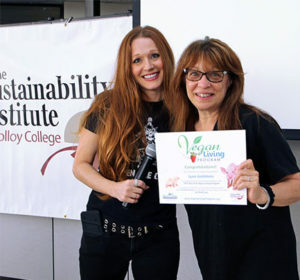 Participants pledge to live vegan for the duration of the program, with the help of volunteer Vegan Coaches and our educational program. Pledges receive a binder full of resources and recipes, and a goody bag of free vegan stuff to make the transition easier and more fun! It’s clear that more and more of us are interested in addressing animal exploitation, tackling climate change, and concerned about our own health. In fact, according to search engine giant Google, the search interest for “vegan” is on the rise, increasing 32% in recent years. Whatever your motivation, the Vegan Living Program is designed to provide you with the support you need, and to build a community of like-minded individuals. 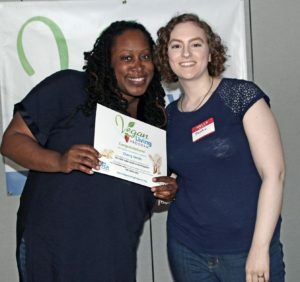 The Vegan Living Program originated and has been held with overwhelming success for the past 7 years in Baltimore, MD and for the past 4 years in Long Island by Open the Cages Alliance. Join us for this life-changing program! Not yet vegan? Be a Vegan Pledge. Register here! Are you vegan? Be a Vegan Coach. Register here! Volunteer! 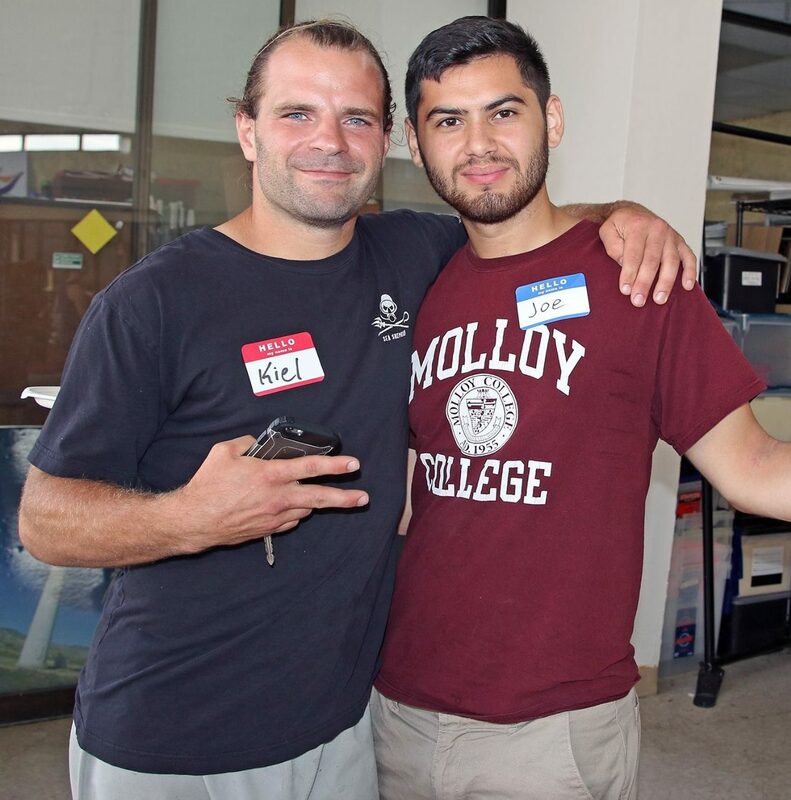 Help us promote the VLP, or lend a hand at the program itself, without a full coach commitment. Contact us to find out more. Donate! Help us provide this free program to the community. The next session of the VLP will be held on consecutive Saturdays, April 14th – May 12th. The four VLP educational sessions and graduation listed below are required attendance for Vegan Pledges and Coaches. No session starting soon, or you can’t make the next session’s dates? Not to worry! There are ongoing free vegan challenges offering personal support online. 21-Days of Love is a Facebook program with periodic opportunities for both pledges and leaders (coaches) to participate in a Rochester 21-day vegan challenge. Sponsored by ARRoc. Challenge 22 is a worldwide vegan challenge. April 14, 10 am – 1 pm – Coach/Pledge Intros & Introduction to Veganism, Cooking Demos. Followed by an optional vegan potluck open to the public, 1-4 pm. Meetings 1, 2 & 5 will be held at the Rochester Vegan Community Center, 14 Edmonds Street, Rochester, NY 14607. On April 28th we will be at the Clinton Theater, 957 S. Clinton Ave., Rochester, NY 14607. On May 5 we will take a field trip to Skylands Animal Sanctuary in Wantage, New Jersey. This is a day trip with transportation being free for participants (some additional tickets will be available for sale if you wish to bring a friend). Sessions held at RVCC are free. However, a $10 per person donation to Skylands Animal Sanctuary is required for the tour. Donations go directly towards feeding and care for the sanctuary animals. For the two optional potlucks, anyone can pay a catering fee in place of bringing a dish (advance tickets, details TBA). $3 non-member fee is waived for current VLP participants. 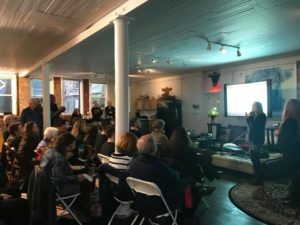 All educational sessions will be documented with video and/or photography, which will be posted online and/or used in promotional materials for the program. Media may be invited to some sessions.